… Is actually a dozen-plus quotes. And it (they) will be the sum total of today’s post. 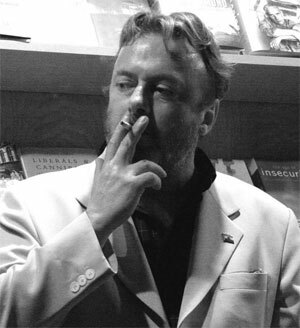 Christopher Hitchens, essayist, opinionist, keyboardist, liberal, conservative, atheist, believer in humanity, semiotic Molotov cocktail thrower, and argumentist par excellence, died yesterday. Nothing I pound out on these keys can compare with his writings.